The pastoral care of our adult community is an important part of the mission of the United Benefice. We aim to create a safe space for people to think independently and, perhaps, develop their faith in God. Our motive is to always to open up discussion, never to close it down. Our sermon blog will give you a flavour of our clergy’s thinking. Here you will find the complete texts of recent sermons preached in the United Benefice. During Lent there is a series of sermons called ‘Why Me? This is when members of the congregation take to the pulpit and share their experience of the Christian faith. We organise regular events to bring our adult communities together and offer thoughtful insights through our education programmes. Find out what’s happening in our calendar or read more about our regular activities and our fundraising activities. Supported by local restaurants, monthly lunches are held on the third Thursday of the month for anyone over 60. A team of volunteers helps out, including students from Holland Park School. We can provide transport if required. Contributions of £3 are welcome. This group meets on Mondays at 6pm. The session lasts about 40 minutes. The aim is relaxation: the session involves short readings, silence and prayer. Everyone welcome. On alternate Wednesdays following the 12 noon communion service at St George’s. A simple lunch of soup and cheese is followed by 40 minutes of Bible study and discussion. We welcome everybody – expert and novice alike. In the autumn and spring we run educational sessions. We explore questions of life and faith to help us wrestle with the relevance of Christianity in the 21st century. 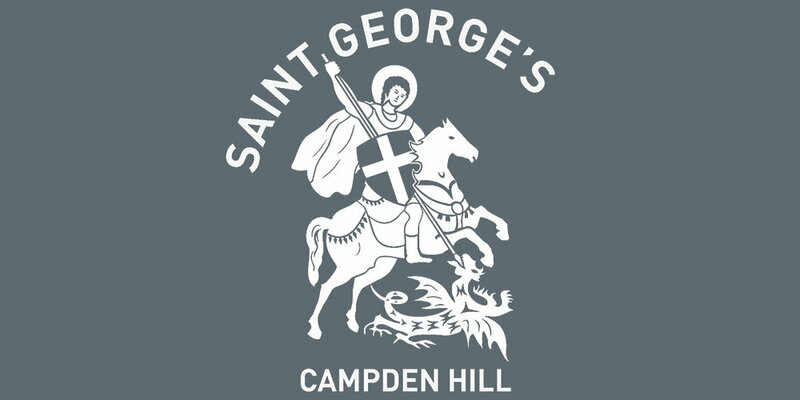 Our evening seminars take place either at St George’s or St John’s. Concerts are held throughout the year with some outstanding musicians and orchestras. For more information about hiring a music space or hosting a concert check out our Hire a Space page. Annual Glass Door homeless sleep out.